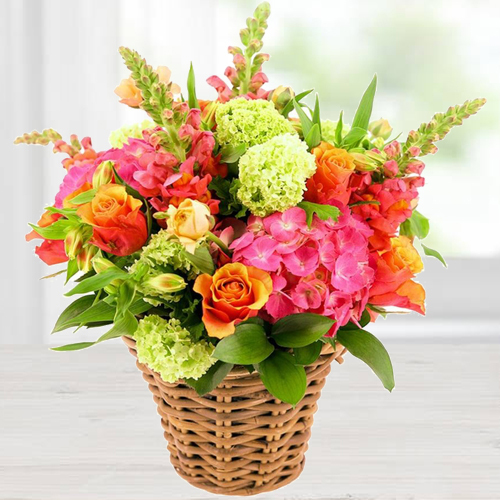 Make others feel very happy as you send this Tropical Mix Arrangement of Fresh Flowers with Fond Affection and let them feel special. A Big Mixed Arrangement of fresh flowers with 500 grms Assorted Sweets. A Big Mixed Arrangement of fresh flowers with 16 pcs Ferrero Rocher chocolate box.